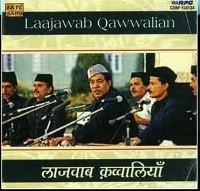 Qawwali is generally, serious business. One need but listen to Nusrat Fateh Ali Khan or Aziz Mian for a few minutes to understand from how deep in their souls came their singing. If that doesn’t convince you spend some time at a live qawwali performance to experience the intensity and spiritual lightening that comes with this music. 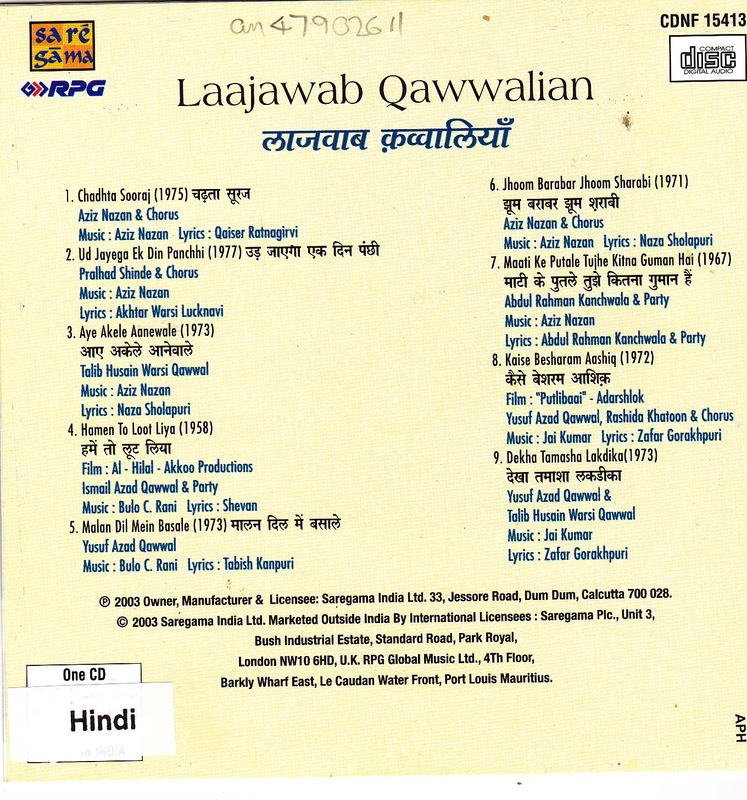 But there is also a strain of qawwali that is quite light-hearted and even cheeky. It deals with the joys and dangers of human relationships often in ways that make you laugh and roll your eyes at the imagery. The instrumentation is less classical and more jaunty with high spirited shenais, western orchestra instruments and even guitars. This sort of qawwali is heard most often in films but also at marriages and public fairs. 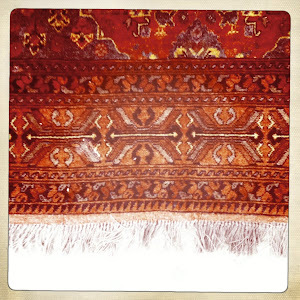 Qawwals like Aziz Nazan and Yusuf Azad Qawwal are masters of this genre which also includes a few female (Shock! Horror!! Tauba tauba!!!) qawwals like Rashida Khatoon. There is really nothing like this music. We talk of classical and light classical music. 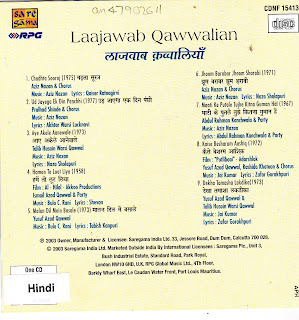 But secular qawwali is not really light classical qawwali. It is its own beast. It is really only the male chorus and hand claps that tie the two forms together. Thank you Ajnabi. Apurva from Pune, India.